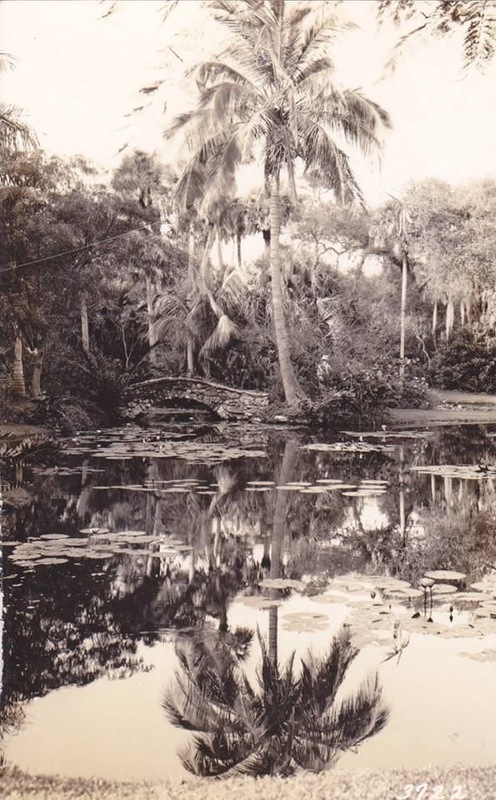 Quite often, we hear people say “If you want to see OLD Florida, you have to see…” Old Florida is really ‘pre-Disney’ Florida; a time when attractions like Weeki Wachee, Silver Springs and Cypress Gardens were the place to be. Interstate highways didn’t exist, and the Sunshine State was about as laid back as a Jimmy Buffett song. 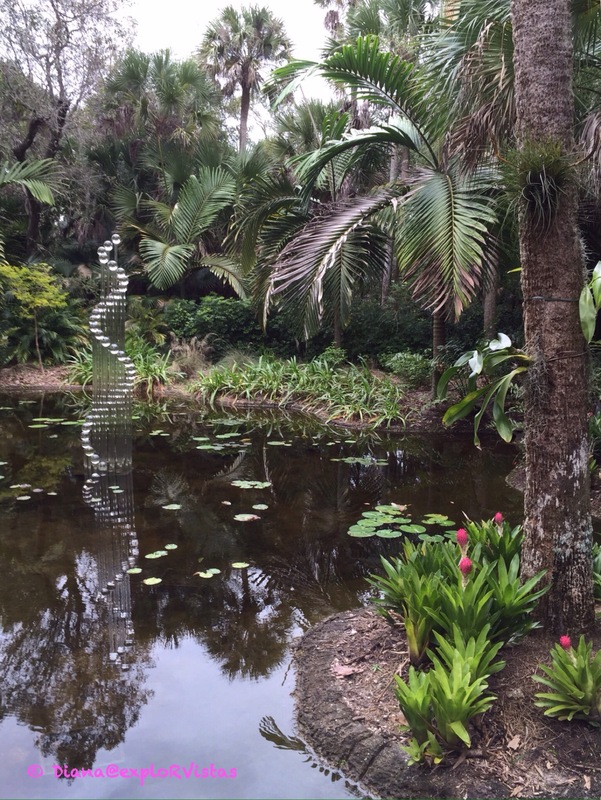 Well, as luck would have it, we stumbled on a bit of Old Florida last week: McKee Botanical Garden in Vero Beach. Back in 1932, two gentlemen named Waldo Sexton and Arthur McKee developed 80 acres into what was then known as McKee Jungle Gardens. 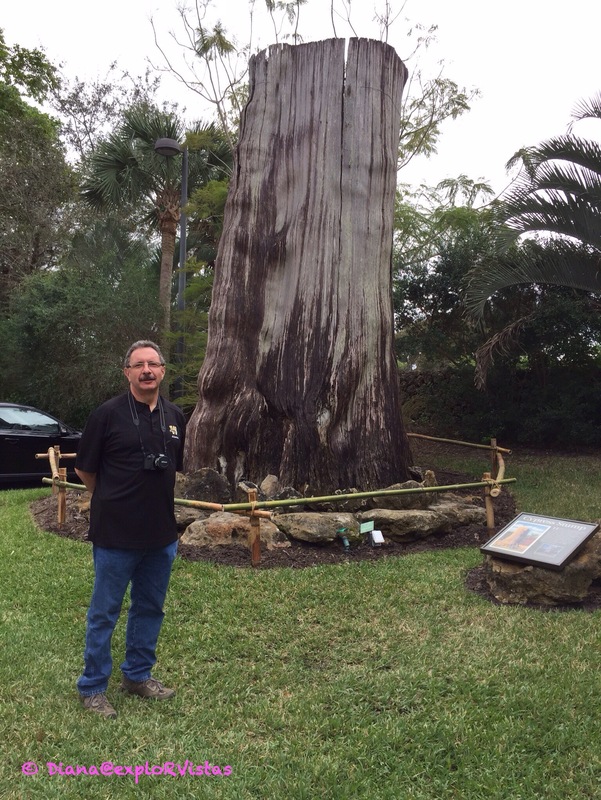 A giant 2000 year old cypress stump was brought in from West Florida to mark the entrance on US-1. Many native and unusual tropical plants were brought in, along with monkeys, an alligator and a black bear. 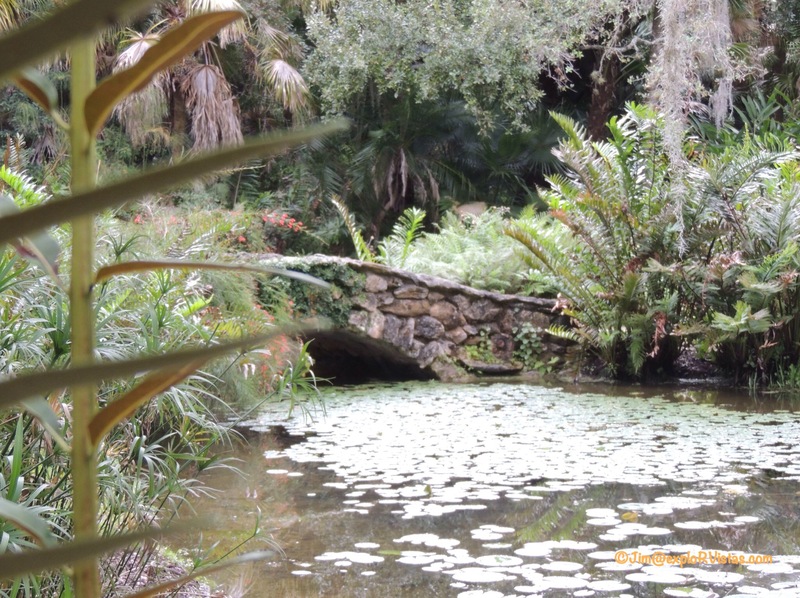 A graceful stone bridge was constructed over this pond, home to an exotic collection of lily pads. 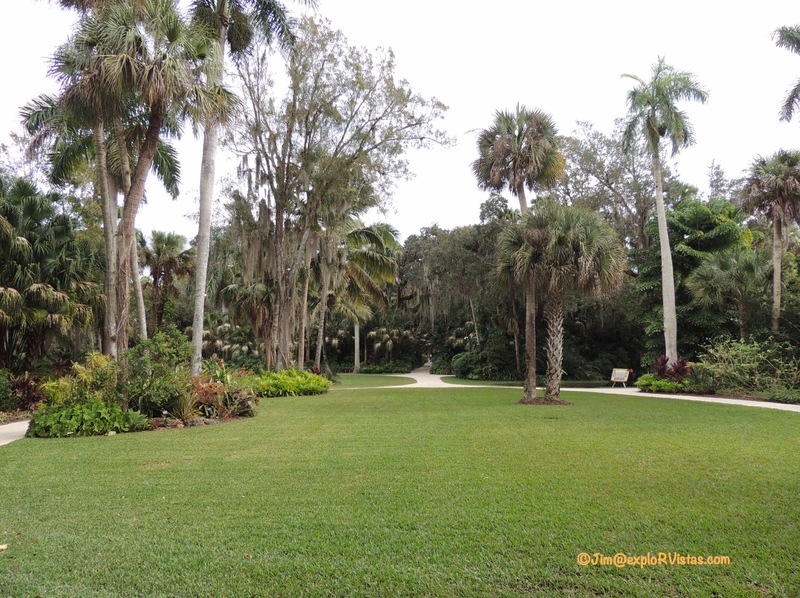 In its heyday during the 1940’s, McKee Jungle Gardens was attracting 100,000 visitors a year. But with the opening of the Magic Kingdom at Walt Disney World in 1971, the beginning of the end for the gardens was in place. 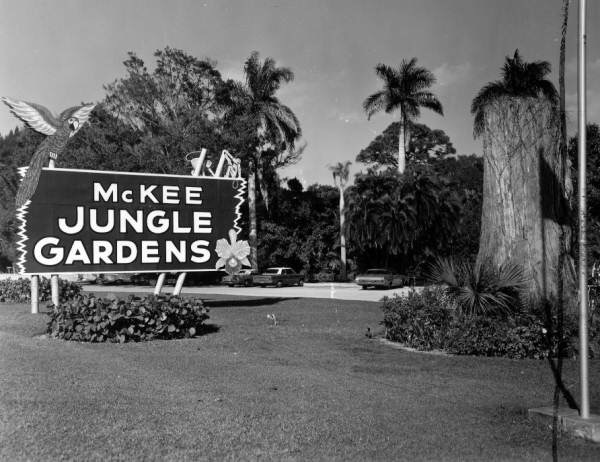 By 1976, McKee Jungle Gardens was closed, and the land was sold to a condo developer. Most of the land was developed into condos and a golf course, but the 18 acres fronting US-1 sat dormant. The next 18 years saw vandals and homeless individuals on the property, and the gardens became overgrown. In 1994, the Indian River Land Trust purchased the property and set out on a campaign to raise funds and restore the remaining land to its former grandeur. 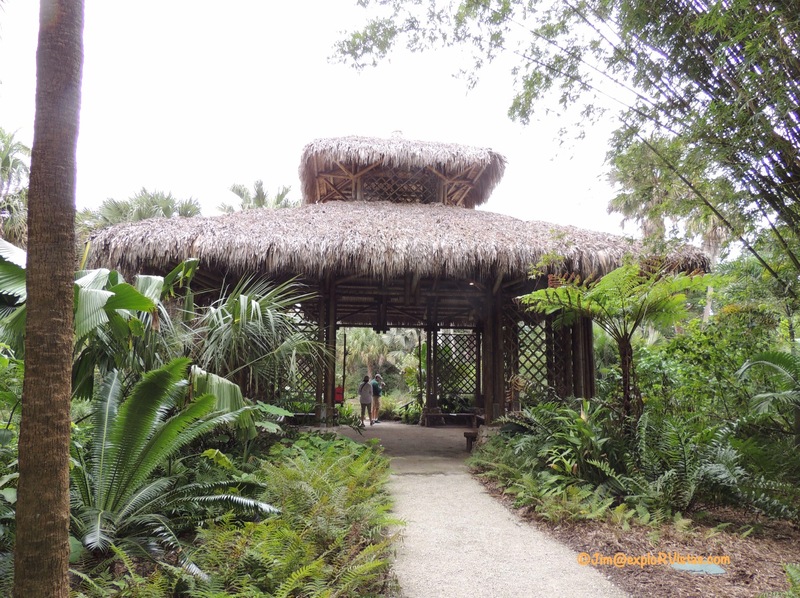 In 2001, the McKee Botanical Garden opened its doors. Our membership with the Frederik Meijer Gardens in Michigan is what initially attracted us here. That membership includes a reciprocal agreement with similar gardens and museums across the U.S. We also saw that landscape artist Patrick Dougherty was going to be there. We first saw his Stickwork structures on CBS Sunday Morning, and we missed out on seeing him in Niles, Michigan when we were near there. We couldn’t let that happen twice. …as is the stone bridge inside the garden. Upon entering through the arched trellis, this green space opens up. We followed around to the right to view the Stickwork installation. There beneath the Royal Palms, three domed structures were taking shape. 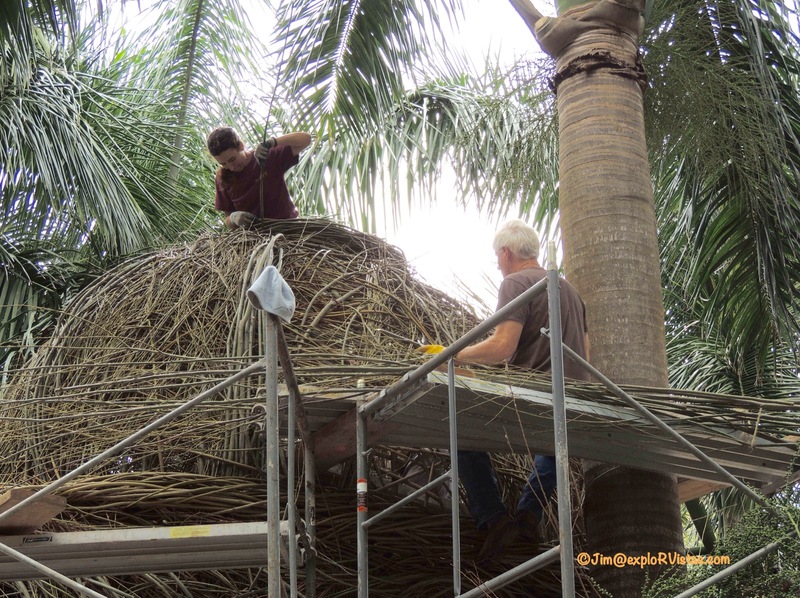 High up on the scaffolding, Patrick Dougherty and a volunteer were weaving willow saplings together to form the structure. Once completed, the buildings will open to roam through, and they also become a haven for birds. He does nine of these installations a year throughout the world, and he has been doing it for thirty years! Each installation lasts an average of two years before deteriorating. After checking out Mr. Dougherty’s work, we ventured out on the trails to see what else McKee had to offer. 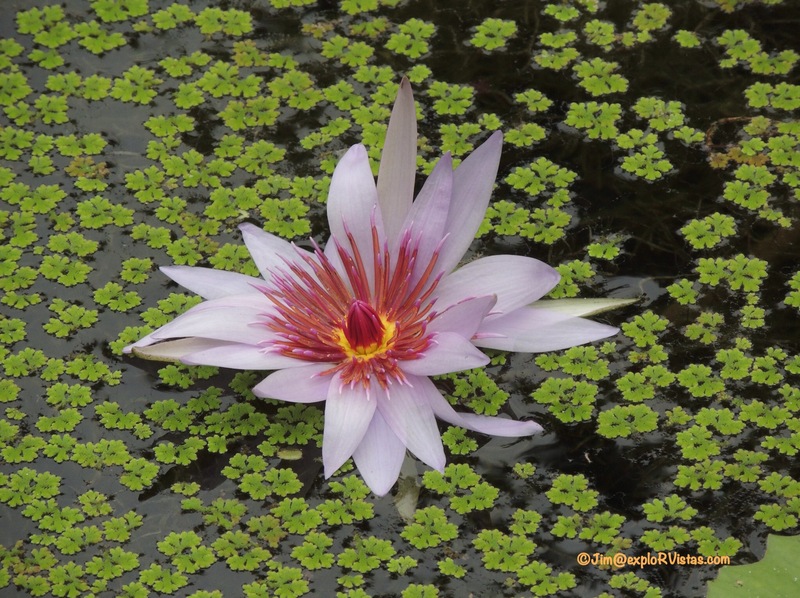 Here is an American Waterlily that we found to be interesting. There were several varieties on the various ponds around the park. One thing we thought they could have done a better job of doing was labeling the flora. So not knowing what these are, we are just going to let you chime in on the next five photos. Edits in italics as answers come in. Thank you Betsy for suggesting the plant identification app on our phones! We settled on Like That Garden, which is a huge help! #1. Any idea? It appears to be an orchid. #2. How about this? Joan from FOSJ maybe this and the next photo was a bromeliad. We are still trying to confirm. #4. Care to fathom a guess? 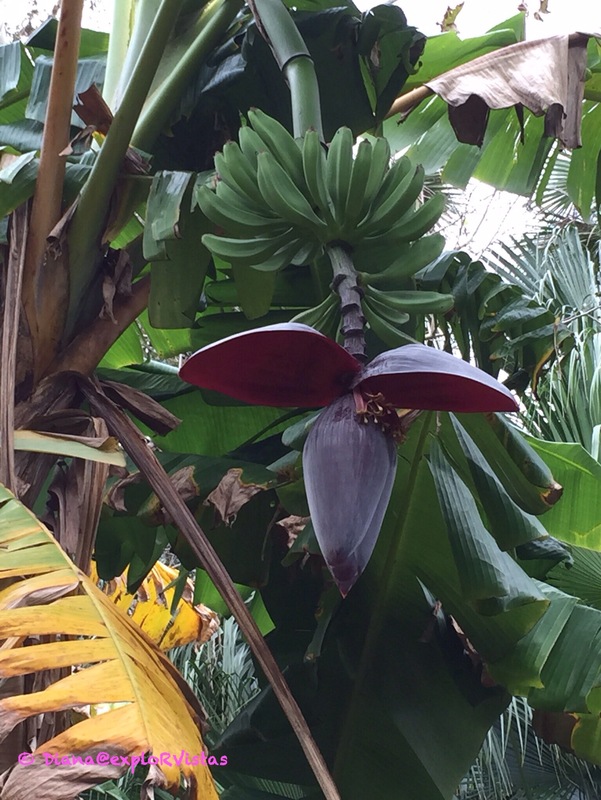 Kelly from bkamericanodyssey identified this as a banana tree. We confirmed that with our app that Betsy suggested. Official name : Plantains or Wild Banana Tree. #5. Perhaps an orchid? 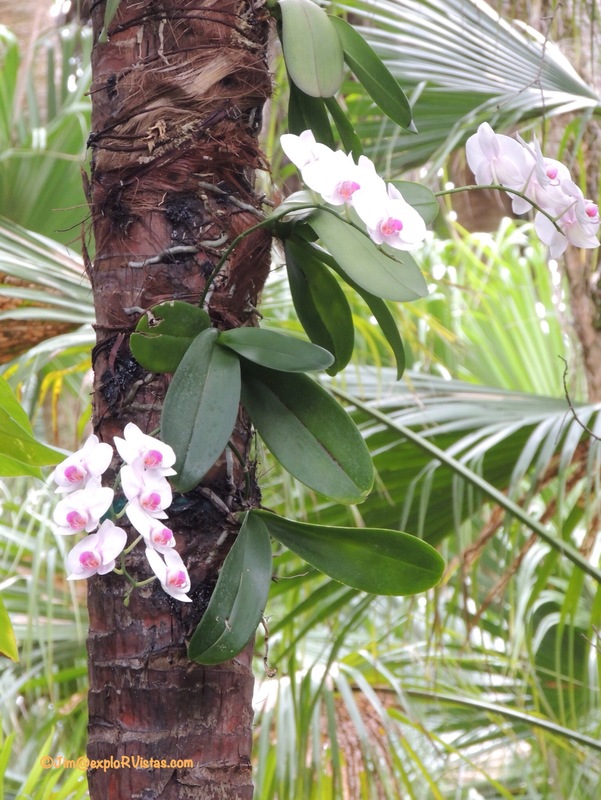 Bonnie from HappiLeeRVing identified this as a Moth Orchid. This pavilion was interesting in that it is constructed entirely of bamboo, and is unique in the fact it is the first engineered bamboo building in the U.S. to have been issued a building permit. That occurred in 2002. 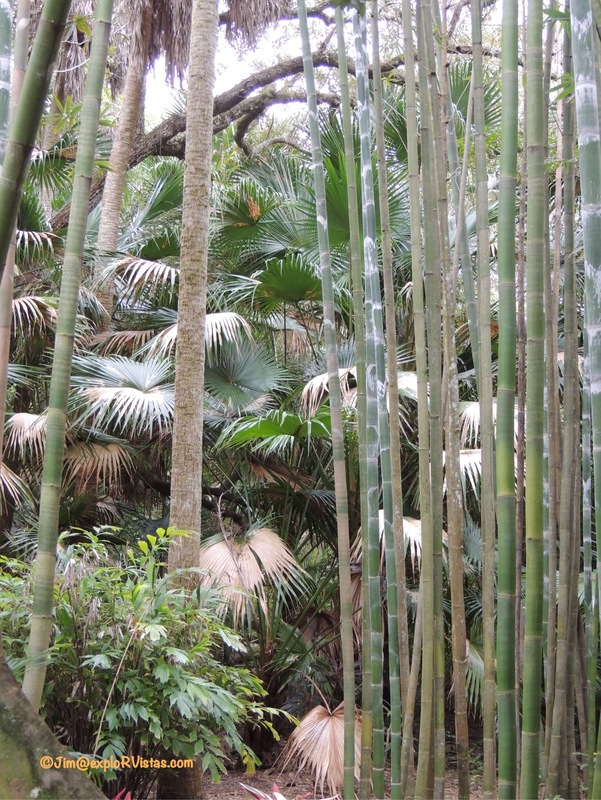 There were several stands of bamboo in the gardens. They also had interspersed a number of sculptures throughout the grounds. We overheard someone mention that she thought this didn’t fit in it’s surroundings. Your thoughts? Off the one end of the Hall of Giants is this huge Spanish kitchen. Talk about a great place for a cookout! So, despite the fact we had trouble identifying a good portion of the flora, we enjoyed our afternoon touring this little slice of history. And we can be safe to say that if you want to see Old Florida..you have to see McKee! Looks like a beautiful garden worth visiting. It sure was, Ingrid! Thanks! 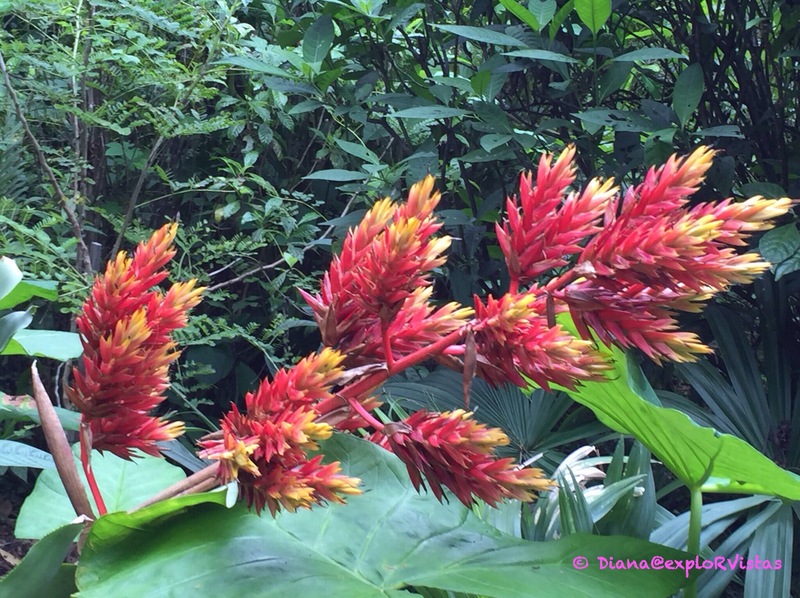 Thank you for sharing your trip to the botanical gardens! You may want to check out a free plant identification app for your phone, although I’m sure one of your other friends may be able to identify them. As for the sculpture, that is a lovely one you included in your photos. Believe me, I’ve seen an art installment with sculptures that just baffle me in one the gardens I visit regularly. I just have to look the other way now. 😉 Anyway, I am adding this to my list of gardens I’d love to visit some day. Thanks Jim & Diana!! Thank you, Betsy! We will look for that app. That really would come in handy! Wow, Betsy….I just got the Like That Garden app. So cool! Thank you! Love the pics! Bill and I have been to a few places like this, the best one so far has been Longwood Gardens in southeast PA if you are ever in that area. It is a bit pricey, but you can spend an entire day there and not see it all! It is the DuPont Estate. With regards to the unknown – the only one I know is #4 is a Banana Tree. Did you know a Banana Tree can only make bananas once then they have to cut it down to the ground and it will come back and make more bananas? It takes 6 to 9 months for that cycle to complete. 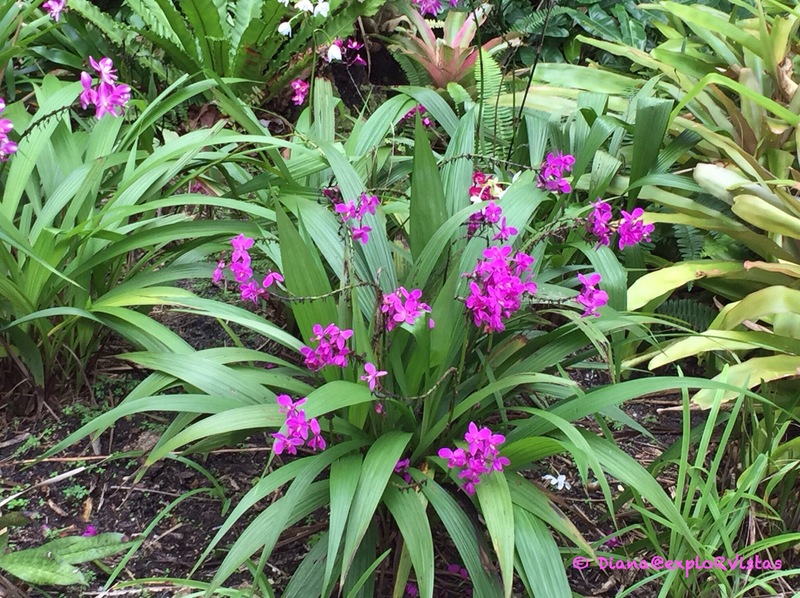 # 5 is definitely a type of orchid but there are so many – hard to know which one, especially since some are very similar. Can’t help at all with the others, we’ve seen them but no idea the names. We will definitely check out Longwood Gardens in our travels, Kelly. I checked out their website and it looks beautiful! 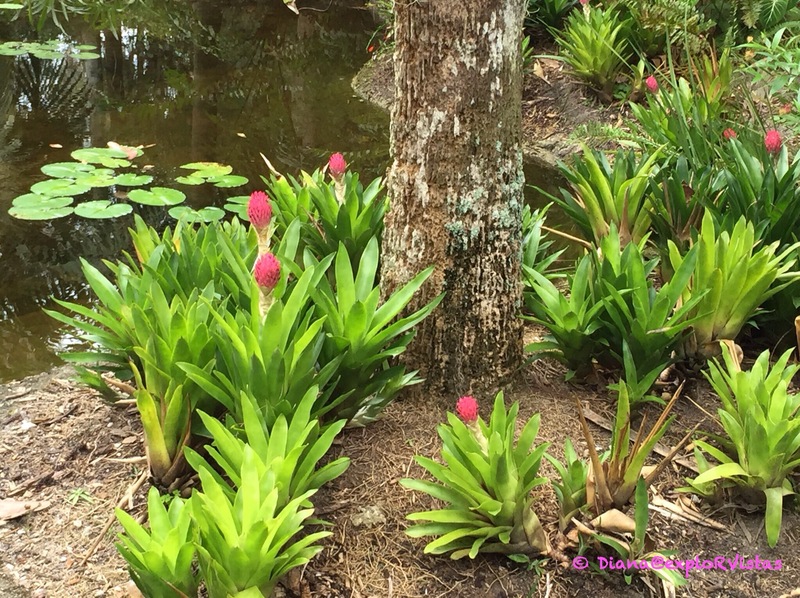 A couple of the plant pictures you took look like bromeliads. While I do enjoy being here in the desert I still miss the flowers and greenery of home. Hope the weather is comfortable there. Thanks for the pictures! It’s a little chilly today, but it has otherwise been pretty nice, Joan. It sure beats what is 700 miles north of us! I googled ‘bromeliad’ and you may be correct on both #’s 2 & 3. I tried Betsy’s app on them, but it wasn’t picking up my photo well enough for those two, as the photo was a little blurry when I zoomed in. Thanks for the clue! Kelly helped us nail that one down, Shannon…it’s a wild banana tree. Diana was pretty sure it was. What a great find. We used to travel up and down I-95 on our way to the keys and we never knew that was there. I’d love to help you identify those beautiful plants but I have no idea! It’s tucked into the southeast corner of US-1 and Indian River Blvd. I’m not sure it’s even visible from US-1, Beth. I love when you can find pieces of art in a botanical garden and I think these sculptures really fit in. I also love the work of Dale Chihuly, you can find a lot of his glass sculptures in many Botanical Gardens in the North of US and these are my absolute favourite. I would rather spend my day in this gorgeous place than in Disneyland to be honest. This looks so great ! 5 is definitively an orchid, 4 looks like a banana flower. I’ve seen the others before but can’t remember their names. We were fortunate to have had Dale Chihuly exhibit at Meijer Gardens a few years ago. Amazing work, Gin. 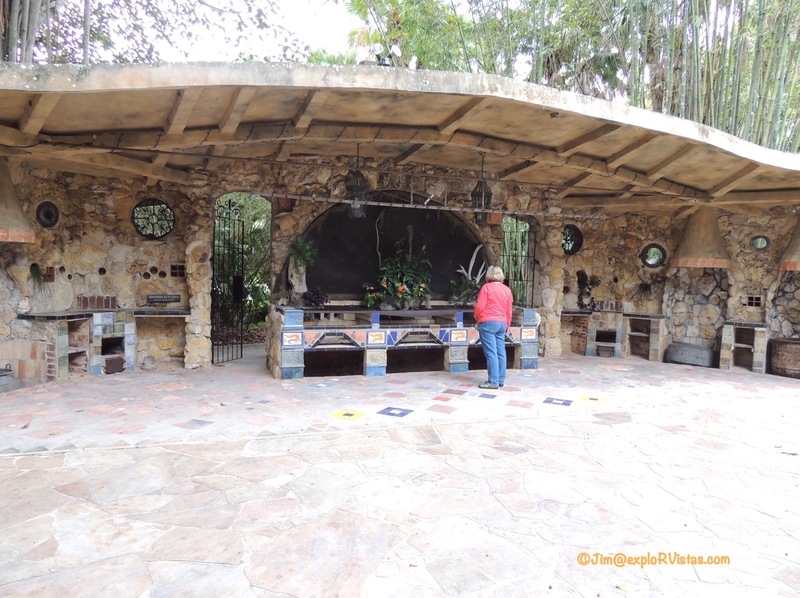 I believe there may be some of his work south of us at Fairchild Gardens in Coral Gables, which we hope to visit in the future. Sounds like a good day trip from here! That’s right at the southern end of a nice stretch of beach from Melbourne to Vero, Peter. I know that you and Peg would enjoy the Barrier Island Sanctuary in that stretch. There is also a private treasure museum along there; from what I’ve heard, there is a discount coupon available online that you will want to have with you. Like any other area there are lots of things to do and see. Some are better if you are located closer to them — by the time you drive 160 miles there and back (for us) you’ve chewed up a good part of a day — you can stay over — sure — but then that starts adding up and defeating the idea of RV’ing. We need to get over and see where you guys are ffirst and go from there. Looks like an interesting place, you wonder what it was like back in the day. 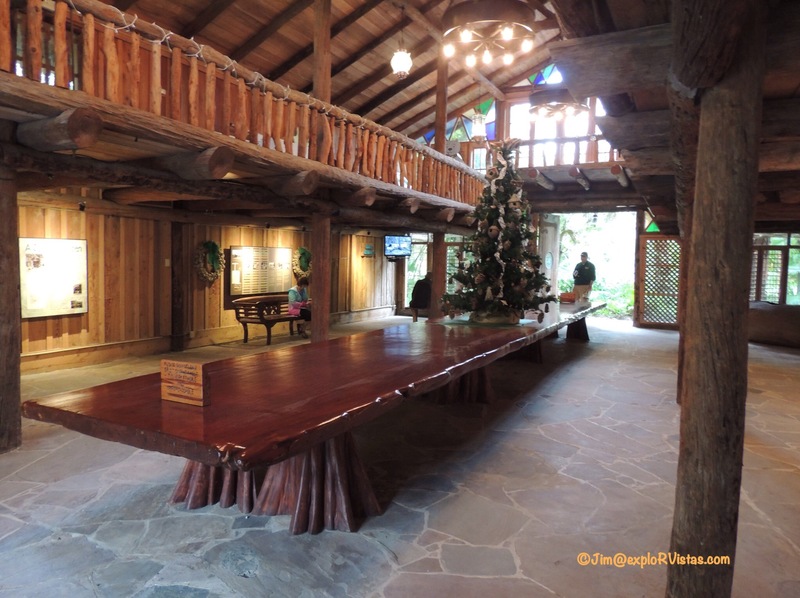 Absolutely love that 35′ table! As an old woodworker, it caught my eye also, Jim! What a great find. We are definitely adding it to our Florida places to visit Pinterest board. Could that be a moth orchid? Looks like a wonderful place, so glad they restored what was left. One of our pet peeves is unidentified flora in public gardens 😦 Patrick was on an episode of Treehouse Masters and we enjoyed seeing one of his structures. The massive weaving is incredible. We are glad it wasn’t bulldozed for a golf course, Jodee! Yes, that does make it difficult when they don’t identify plants, but that app that Betsy turned us onto should help. We are amazed at how many structures Patrick puts up per year. I guess the volunteers line up in droves to help him. I remember Old Florida growing up since my aunt and uncle lived in the Tampa area. Weeki Wachee was my favorite:) How nice that Botanical Garden was rebuilt. It is beautiful. I must have seen the segment on Patrick Dougherty on CBS Morning because his work is so familiar but we haven’t been to any of his works. They are so unusual and so gorgeous. 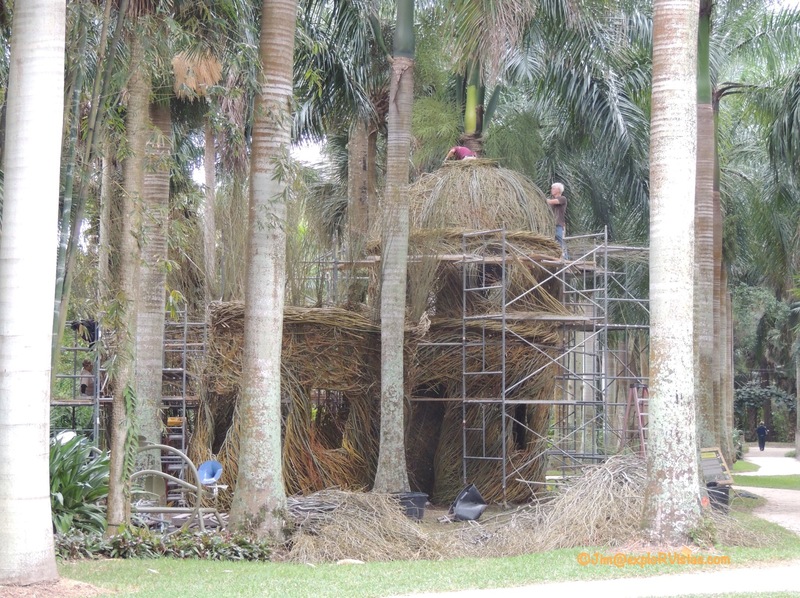 You can see where Patrick Dougherty is going to be on stickwork.net. He’s a busy guy! I went to Patrick’s site to see everywhere he had been to see if we had been there. I was sure we had seen one of his works but it must have been just on TV. I’m sure your dad would have enjoyed the mermaids:) I remember how amazing it was to see them hold their breath for such a long time.